Benjamin Moore Showroom Now in Gardner, Massachusetts! National Lumber is proud to announce the opening of our newest Benjamin Moore paint showroom at 95 Pearson Boulevard in Gardner, Massachusetts this week! Design Inspiration to Brighten Your Day! Benjamin Moore has just recently released their first issue of their seasonal design inspiration webzine Nuance for 2010. You can read it at www.benjaminmoorenuance.com, as well as the previous four issues from 2009. Catering mainly to interior designers and architects, Nuance is full of inspiring design ideas, and especially shows what you can do for a room with paint and color. Anyone looking to spruce up their home with a little redecorating or even perhaps a little bit more should check these webzines out. Or if you’re just really into interior design or residential architecture, it’s worth a look. Many thanks to Chasingnora on Twitter (http://twitter.com/chasingnora) for making this known! 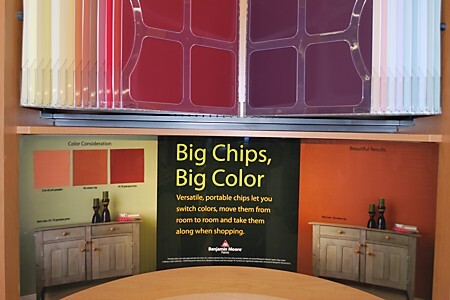 National Lumber is proud to be a Benjamin Moore paint dealer. Paint experts and supplies are available at our Newton, Mansfield, Berlin, and Gardner locations in Massachusetts, and at our store in Boscawen, New Hampshire. Call 508-339-8020 or visit our Benjamin Moore Paints website for more information on our paint products & services.